Perpetual has appointed a new senior adviser to the Adelaide office to help South Australian clients reach their financial goals. Andrew Parker has joined Perpetual after holding senior financial adviser roles with major commercial and private banks in Adelaide. 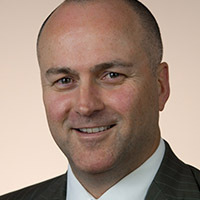 Most recently Mr Parker worked as a senior financial planner for Westpac and NAB in Adelaide where he provided customers with investment strategies and insurance solutions. Mr Parker has 30 years’ experience in the industry including in senior roles with JP Morgan and Deutsche Bank both in Australia and internationally. Perpetual welcomed Mr Park at the end of last year and looks forward to the veteran helping clients to achieve their financial and lifestyle goals.